Trump’s new tax plan has made big changes for people across the political and socioeconomic spectrum. One change that hasn’t gotten as much news coverage affects more than 600,000 Americans who pay spousal support, or alimony, after their divorces. In the past, most people who were ordered to pay alimony could at least deduct it from their taxes. in fact, that deduction was calculated when creating the divorce settlement. It was an easier to get some people to accept the proposed spousal support if they knew that it would also benefit them. Since alimony is usually paid by the spouses who make more money, those people are usually in a higher tax bracket than their spouses. While the spouse getting the alimony would have to declare it as income, the tax rate they would pay would be significantly less, which means that more of the money would stay in the “family,” so to speak. The only way to avoid paying income tax on the money is to show that it is not alimony. It is important to note that if money exchanged between former spouses “incident to the divorce,” it would be exempt from income or gift tax. For example, payments made not more than six months after the divorce and related to the divorce or separation agreement are likely exempt. That means those payments are not deductible and are not taxable to the recipient. Sometimes, former spouses prefer to make a lump-sum payment for alimony – or they have to pay it to make arrears. So long as the payment meets the requirements outlined above, it will be considered alimony. However, there is a good chance that the IRS will view the transaction as a property division, depending on the amount exchanged. AZ Tax professionals should warn clients that if the amount of support decreases by more than $15,000 after the buyout, the money can be subject to recapture. That can effectively increase the cost of the support. The right tax professionals near Mesa will understand what the tax obligations will be and will advise their clients appropriately when putting together a divorce or separation agreement. That means knowing that you will not be able to deduct the alimony you pay on your taxes, which means that you will be out of pocket for much more. Many divorce professionals have said they expect the tax changes to make reaching a divorce settlement harder. Many people are bound to be resistant to agreeing to the terms knowing that it will cost them more. If you are currently paying alimony, these changes do not apply to you. However, if you will complete your divorce or separation agreement after December 31, 2018, you should know that you likely won’t be able to deduct your alimony payments. 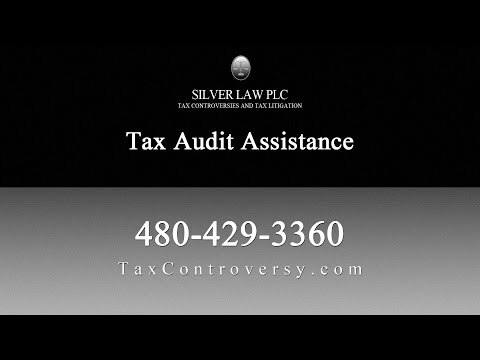 Silver Law PLC in Arizona has a team of experienced tax lawyers who can help you navigate these and other changes to the Tax Code. All of our attorneys have worked for the IRS in the past, so they understand how to read and monitor the Code and how the IRS interprets these issues. Let a Mesa tax law attorney from our team help you better understand your tax obligations for alimony or for other issues included in the new Trump tax plan. Call us in Arizona to talk to a Mesa tax lawyer today. What is Being Done to Reform the U.S. Tax Code?